We are one of the top prenatal chiropractors in San Diego specializing in pregnancy and postnatal chiropractic care. 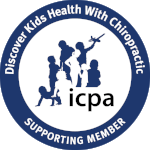 Our office is certified in the Webster Technique through the International Chiropractic Pediatric Association (ICPA). The Webster Technique is a specific Chiropractic analysis and series of adjustments that aims to reduce dysfunction in the nervous system and balance pelvic muscles and ligaments. This optimizes uterine function, promotes decreased pain, and allows for a safer, easier, and more comfortable birth. It's never too late nor too early for chiropractic care during pregnancy! We see mom’s from days into pregnancy all the way up until the day they give birth. We believe chiropractic care is essential for the pregnant and postpartum mom. The body system and organs are now providing for two and their optimal function is critical for a healthy pregnancy and birth. The mother's spine and pelvis undergoes many changes and adaptations regarding compensation for the growing baby and the increased stress and demands placed on the body grows significantly. Chiropractic care throughout pregnancy works to relieve back, muscle and joint pains, enhance nervous system function, and works to optimally position the baby for a more successful birth. Additionally, chiropractic care throughout pregnancy helps to establish good balance in the mother's pelvis. Due to the nature of increased stress and trauma on the spine and pelvis, the pelvic opening may be compromised and in need of extra care and attention.